Home › News › Work on the Directory picking up steam! Work on the Directory picking up steam! 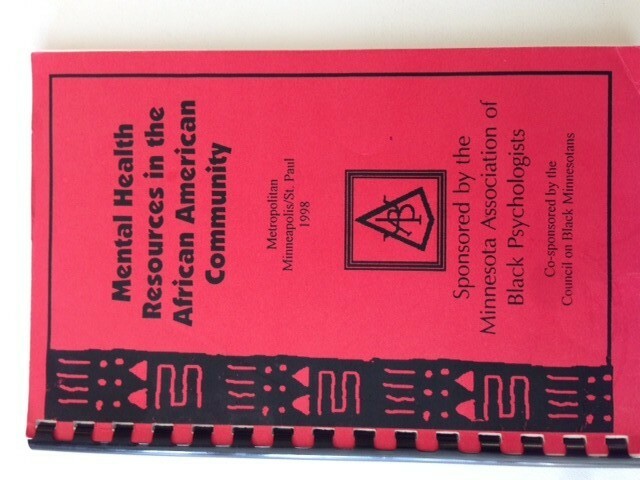 The long overdue update to the MnABPsi Directory of Mental Health Resources in the Black Community is picking up steam. President Dr. Willie Garrett and Dr. Harvey Linder met recently with ministers from the the Black ministerial alliance known as “His Works United” to discuss plans to build more effective connections between black mental health providers and the black church. The project is in early development, and MnABPsi promised to assist by helping the group to define better how to characterize this particular mission, by providing training to the ministry on black mental health issues, and by completing a comprehensive listing of black providers in the region. Joined in this effort so far are two therapist/counselors who also happen to be ministers, the Rev. Darryl Gillespie and the Rev. Ovester Armstrong, as well as esteemed psychologist and Stairsteps Foundation board chair, Dr. John Taborn. Rev. Alfred Babington-Johnson, of the Stairstep Foundation, and Rev. Brian Herron of Zion Baptist Church are leading the effort from the ministry side. If you are interested, contact Dr. Garrett and let him know. Also, if you would like to help out with the Directory, check out its online version here and leave a comment. Don’t forget to update your own profile!